The Middle East has been under threat for decades. In this series of articles, I will explain the conflicts happened in the Middle East and How developed nations dominated all the conflicts. Israel, Southeast country in the Middle East region and only Jewish nation in the world. Israel comprises one of the oldest Holy lands in Earth 'Jerusalem'. Jerusalem is the place where Abrahamic religions born - Judaism, Christianity, and Islam. Before 1948, Isreal has Muslims (86%) and Christians (10%) and a small number of Jewish (4%) population. Those Muslims are now called as Palestinian Muslims. They hold the identity as 'native people' of Israel. All these three religions Jews, Christians, and Muslims lived in peace without any conflicts until Jewish immigration. It actually started in the year 1947, Jewish immigration. After the prosecution of Jews all over the European countries. Jews flew to their religious homeland in the Middle East to form their own nation. There the clash begins between native majority Muslims and migrated Jews. United Nations plan to give each group part of the land to rule on their own but failed. Then Israel and surrounding Arab nations fought several times over the territory. Today's separation of the territory is an outcome of two major conflicts happened on 1948 and 1967. Before understanding Why conflict arises between Jews and Muslims, we need to know about some important things happened in the Jewish community. Zionism - The movement of extremist Jewish people who supports the establishment of the Jewish homeland. In the late 1800's a group of Jewish extremists known as Zionists decided to create a Jewish homeland, and they considered Africa and America to construct their own land, the effect of Hitler increased the number of Jews searching for separate Jewish land. Then finally Jews decided to return back to their homeland and form their own nation. Initially, immigration created no problem. However more and more Zionists immigrated to Palestine, they started to express wish of taking over land for the Jewish state. This increasing tension ended in Violence and conflict against Muslims. UN planned to divide Palestine into three areas an Arab state, a Jewish state and Special sites of Jerusalem and Bethlehem. UN also recommended giving away 55% of Palestine to a Jewish state, despite the fact, Jews represented only about 30% of the total population, this move makes Arabs angrier. This is the start of Israeli-Palestinian Conflict. In mid of 1948, ongoing Arabs angry becomes an interstate conflict between Arabs and Jews. 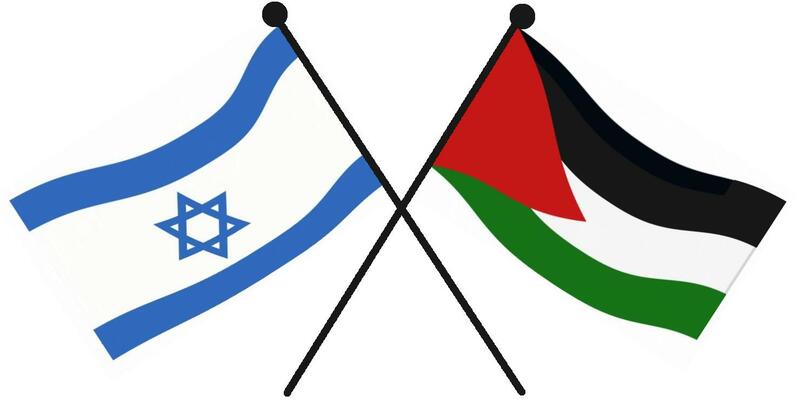 Palestinians are supported by neighboring Arab nations like Egypt, Jordan, Syria, and Iraq. Israelis are supported by United Nations. After 10 Months of the war, Israelis conquered more than 78% of Palestinian lands, around 700,000 Palestinians were expelled from their homes, over 500 towns and villages had been obliterated. In next 3 years, more than 600,000 Jews immigrated to Israel, most of them were expelled from the Middle East nations. In late 1956, Israel starts a war against Egypt with the support of Britain and France army to extend its regime. But significantly Israel failed in the war and this becomes a huge set back for Britain's influence in the Middle East. Israel aims to regain Western control of Suez canal after Egyptian President Nasser(1918-1970) nationalized the canal. The Israelis soon joined with French and British forces and took the control over the canal, which nearly brought the Soviet Union into the conflict in favor of Egypt. The Soviet Union threatened to drop down nuclear bombs on Western Europe if France and British forces didn't withdraw. Russia's entry made the United States enter the war. The US threatened all the three nations with strong Economic Sanctions if they persisted in the war. The threats did their work and at the end, the British, French and Israeli governments withdrew their troops in late 1956 and early 1957. 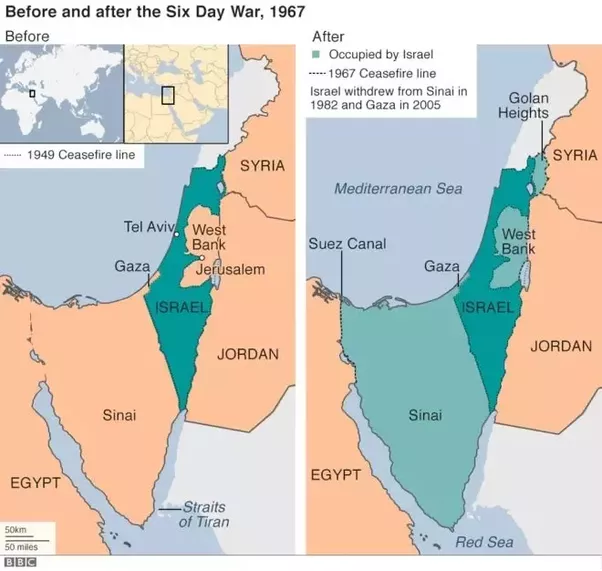 In 1967, Israel imposed a “Six Day War” against neighboring Arab countries (Egypt and Syria). Also attacked and occupied the remaining 22% of Palestine land (Gaza Strip and West Bank) which eluded in 1948. According to international law, it is inadmissible to acquire territory by war, these are occupied territories and do not belong to Israel. Israel also occupied certain parts of Egypt and Syria, which returned later. 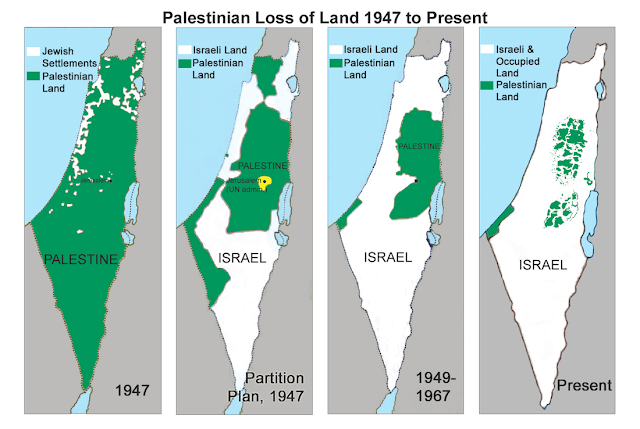 Now officially Israel took the complete control over Palestine. The Politics is a site to think. The main mission of The Politics is to explan What's happening around us and make people to understand World Politics in Simple way. Contact - Whatsapp no : 7373540909. Powered by Blogger.